Lush and peachy on the nose, this is a state-of-the-art Condrieu. 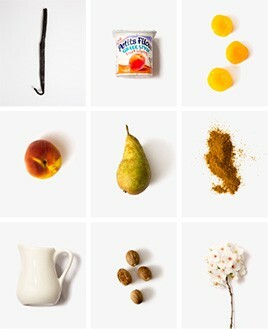 Dense and peachy on the palate, with rich fruit, this is crisp, spicy and intense, while also being balanced and fine. As the name suggests, these are the highest and most precipitous of Yves’ vineyards, close indeed to the legendary Coteau de Vernon, and the source of a wine which is aged for longer than his other Condrieus. The result is fascinating, with almost contradictory notes of citrus fruit and honey broadening the spectrum provided by the other, more usual Condrieu descriptors. 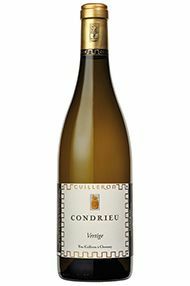 The Wine Advocate - The richest and most textured in the lineup, the 2012 Condrieu Vertige comes from a single plot planted in the Coteau de Vernon. Barrel fermented and aged, it delivers impressive aromas and flavors of ripe apricot, tangerine, toast, spice and citrus blossom, with distinct minerality. Medium to full-bodied, with a layered mid-palate and good acidity, it will drink nicely for 4-5 years, possible longer.